From Gingerbread Houses to Gingerbread cookies this has been a long time favorite and sought after cookie especially through out the Christmas season. 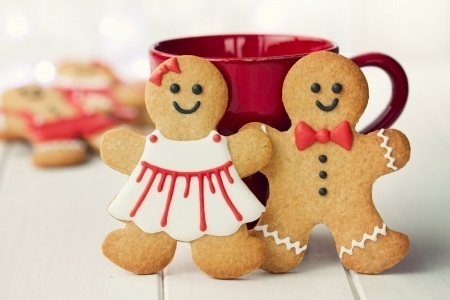 There is nothing better than the smell of fresh baked gingerbread cookies lining the kitchen table waiting for their piped dresses and bow ties. Just grab a glass of ice cold milk to dunk it in to make your gingerbread snack complete.